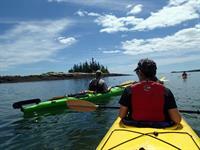 Come enjoy a day of sun and fun sea kayaking along Maine’s rocky scenic coast. 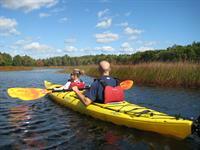 Maine Kayak offers half-day, full-day, multi-day island camping overnight, inn-to-inn, and naturalist trips in Mid-Coast Maine. The historic Pemaquid Point Lighthouse (featured on the Maine state quarter) marks the entrance to Johns Bay and Muscongus Bay. 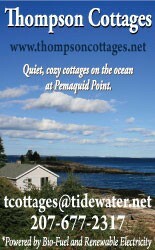 A haven for seabirds, Johns Bay offers a protected and pleasant paddle, exploring the picturesque shoreline and quaint seaside cottages with views of historic Colonial Pemaquid and Fort William Henry, and several uninhabited islands such as the Witch Island Audubon Sanctuary. The perfect sea kayaking getaway, Muscongus Bay is well protected by the scenic, uninhabited islands of the Maine Island Trail, is home to the 100 year old shipwreck of the Cora Cressy, a former five masted schooner, and is resplendent with wildlife including seabirds, seals, and porpoises. Enjoy one of our many guided trips or explore the harbors on your own with a kayak rental – from a few hours to a few days. 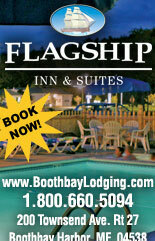 Maine Kayak is based in the pristine wilderness of Maine on several scenic rivers and serene lakes. Listen to the haunting call of loons and paddle among moose, salmon and osprey during a half or full-day tour on Biscay Pond and the Pemaquid River. Or enjoy a relaxing evening campfire while reliving your thrilling day learning the art of whitewater kayaking the wild gorges of some of New England's best whitewater. 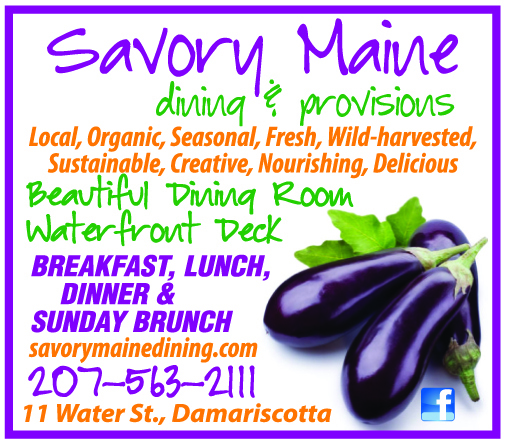 Let Maine Kayak plan your Maine kayaking vacation!